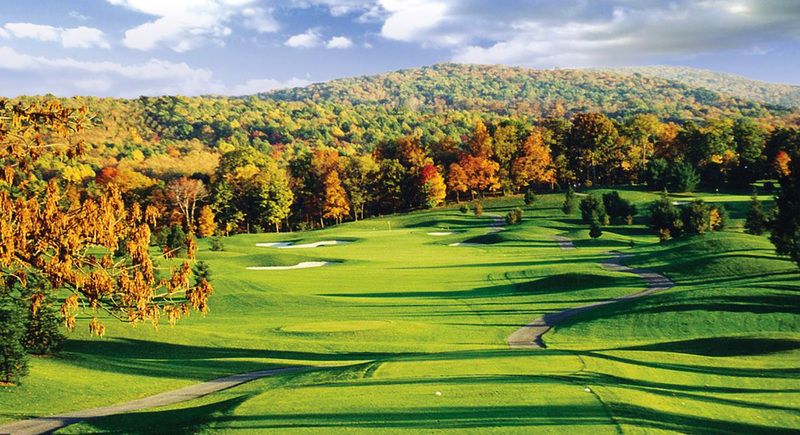 Located in Blairsville, Pennsylvania Chestnut Ridge Golf Resort & Conference Center is just 45 miles east of Pittsburgh. Whether you'd like to play for the day or are looking to plan a multi-day visit; there is something for everyone. Two 4 1/2 star golf courses - Chestnut Ridge and Tom's Run - offer challenging play for individuals and groups of any size. Conveniently located next to the resort, the Hampton Inn & Suites hotel offers 92 rooms for overnight guest accommodations. Enjoy delicious meals and drinks in our 37 Grille Restaurant, Spike Bar, or on the patio overlooking the golf courses. Looking to relax and unwind? The Chestnut Ridge Spa & Salon offers a variety of services to indulge and pamper you. Four elegant and versatile banquet rooms offer endless possibilities to create a memorable event. From wedding ceremonies and receptions, to parties, meetings, banquets, and more; Chestnut Ridge Golf Resort & Conference Center can accommodate events from 4 to 400 guests. Chestnut Ridge Golf Resort & Conference Center - whether for business or fun - we have something for everyone!